People and Us Weekly—I won't even pretend I don't like having an excuse to buy Us Weekly.) Worley's was a reasonable prediction for a number of reasons. 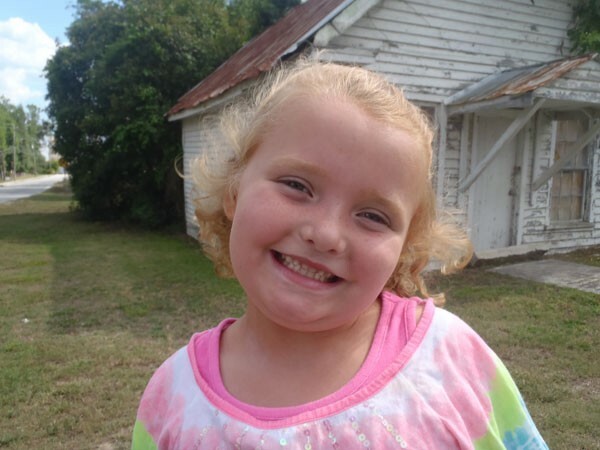 Or, rather, one reason: The family from whence Honey Boo Boo (I'm talking about seven-year-old Alana Thompson) came is a family full of farters. In fact, in the first half of the two-episode premiere, an entire segment is devoted to the whole gang teaching a professional wrestler to cup a fart and throw it at his opponent. Alas, and despite plenty of evidence to the contrary, TLC doesn't want to offend its audience quite as much as Waters did his. The scratch-and-sniff card featured no farts, no roadkill, no baby vomit, not even the cologne that patriarch Sugar Bear got for his birthday, which probably smelled worse than roadkill doused in baby vomit. Instead we get baby powder, roasting wild pig, butter. The most offensive scratch-scent was train exhaust, which smelled remarkably like the go-cart exhaust scratch-scent. I imagine a TLC exec saying, "Farts? Even we're not that gross." Sure they are.